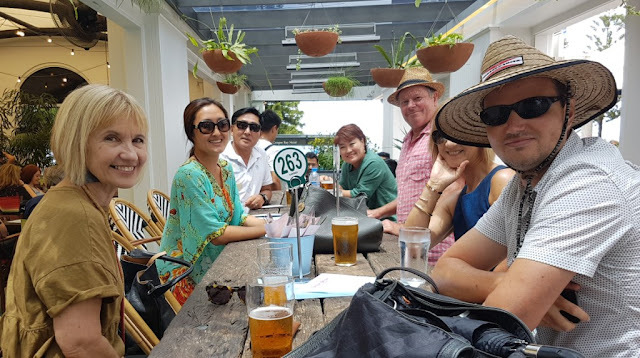 The South Korean branch of the family arrived in Sydney last Thursday for 5 days of feasting, sightseeing, great conversations, lots of laughter and eventually some tears (when we had to say goodbye this morning). The laughter and feasting started on our first evening together at our fave Barzuras in Coogee. This is the gorgeous couple (Joel and Soyoung - Kay) that has brought our families together......... 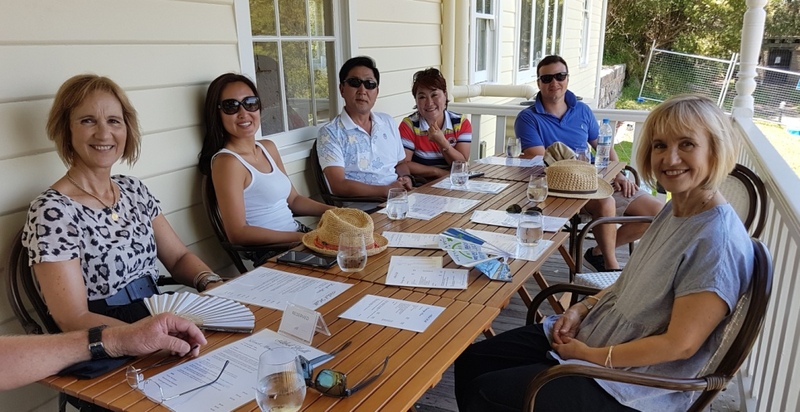 This is their first visit back to Australia since their wedding in September 2016. This visit there were temporary fences lining the usually picturesque entry to the building (apparently in preparation for the NYE crowds), and the usually well behaved resident kookaburras were quite feral - swooping the tables looking for gourmet fillets of barramundi and calamari - very unnerving, and disappointing for me as the visit organiser!! We have a photo of the London branch taken in the same place in the grounds of Athol Hall in February 2010. Friday night the fun continued with a wonderful meal at the iconic Bennelong Restaurant at the Opera House. It was a very photogenic venue so I'll do a separate post on that. Saturday we caught the bus into the city so we could take Kay's Mum and Dad to lunch at Sydney's best Korean Restaurant: Danjee in Albion Place, off George Street. Kay's Mum is a wonderful cook and very discerning. She gave Danjee her top rating - Yay! After lunch we filled in a few hours taking the ferry to a very crowded (and HOT) Watson's Bay. We wanted our visitors to enjoy this beautiful spot on the Harbour but I suspect it must have seemed quite a trial in the heat with all the crowds. Meanwhile Kay's brother and his girlfriend had arrived in Sydney too (from Seoul). They settled quickly into their Airbnb rooms at Coogee and managed to make their way to meet us at Darling Harbour late afternoon without once getting lost or confused. Amazing! Nick's Seafood at Darling Harbour was Joel's choice for dinner. He'd been dreaming of Nick's bountiful seafood platters ever since his last visit home. 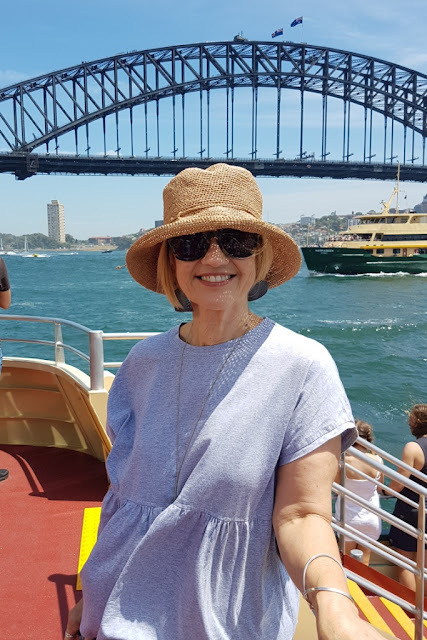 Sunday in Sydney was a quiet one, in readiness for our HUGE night out for New Year's Eve on the harbour at Milson's Point. This wonderful night needs its own post! 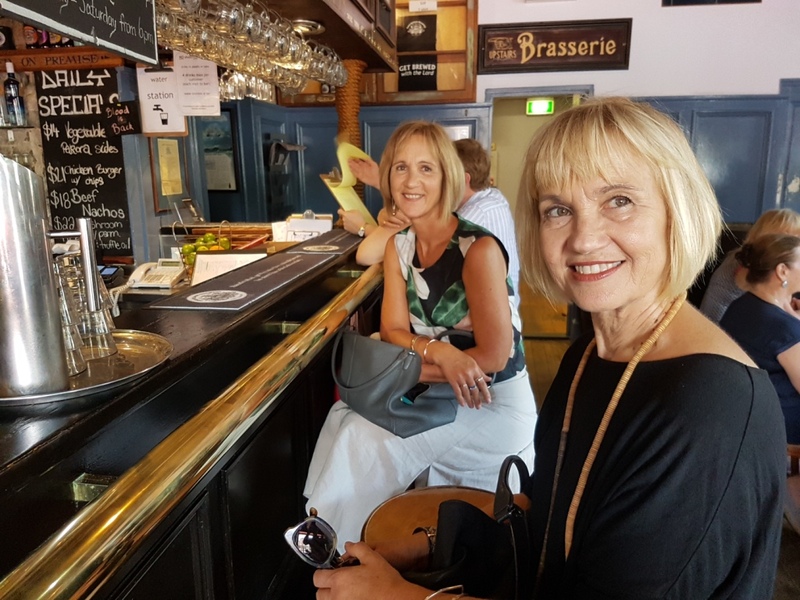 We did final planning for our big NYE night out over lunch at the Coogee Bay Hotel (the young ones had spent the morning swimming at Bondi with Kay's Mum and Dad). Joel & Kay and her Mum and Dad's Airbnb at Coogee gave them the most beautiful views North towards Clovelly - and over Dunningham Reserve, close to Giles Baths. and crowded Coogee Beach during its busiest week of the year. Yesterday was an extremely quiet day for us after getting home from NYE celebrations close to 3.00am. After a very late to the day we enjoyed a reviving ale at the beautiful old Lord Nelson Brewery Hotel at The Rocks (Rob's suggestion - he loves this place!). We spent our last night together enjoying Chat Thai curries, Fujiyama sushi and Pavillion pizza at Joel and Kay's apartment. 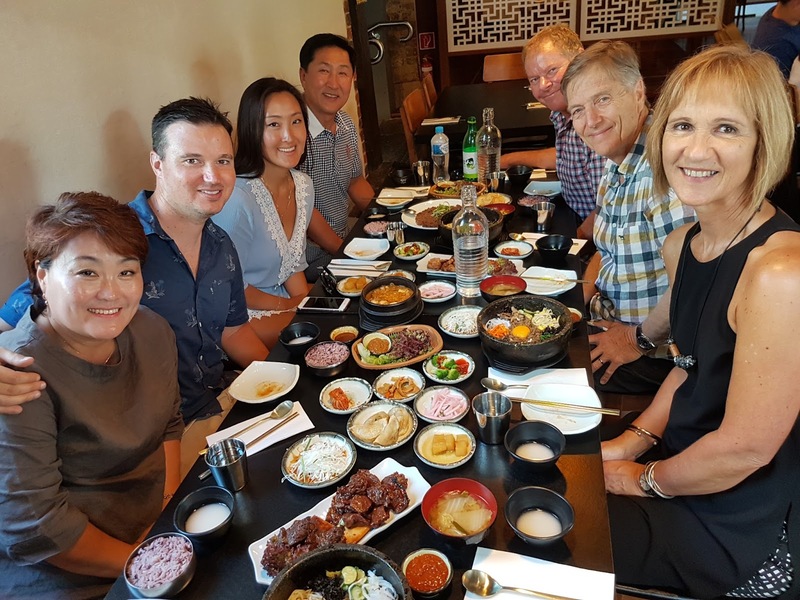 We felt very sad to say goodbye to our wonderful South Korean family and the fabulous times and great conversations we've shared together during our Sydney stay. We don't want it to end!